I'm typically a fan of FPS (first person shooter) games. However, I do occasionally enjoy games that require some strategy, dexterity and a good challenging learning curve. In the spirit of trying something new, I gave World of Tanks a shot at PAX Prime 2011 (in Seattle!). I was a bit curious about what all the hubbub was with these new free-to-play games showing up. Little did I know just how interesting the game and story behind it would be. World of Tanks (WoT) is a free-to-play and pay-to-play 32 player team based pre and post World War II tank shooter style war game. 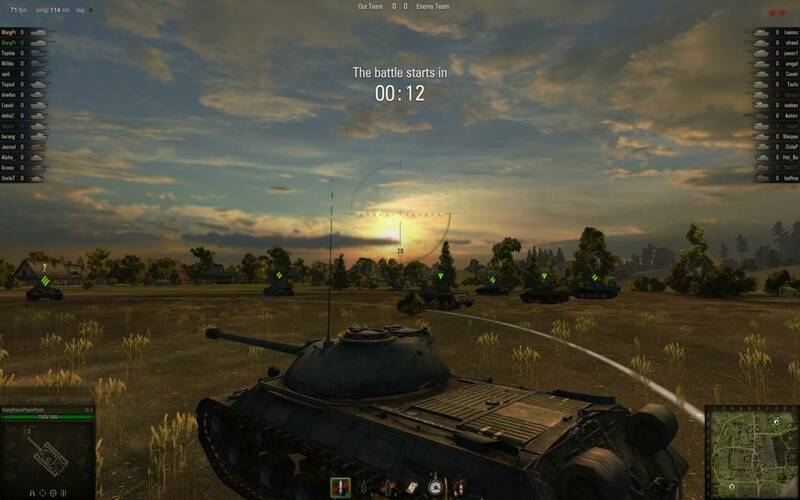 FTP players start off with three tanks: one from the USSR, one from the USA and one from Germany. As you play many rounds, you earn experience and gold allowing you to research new modifications to improve your tanks. Eventually, you max each tank out with upgrades and unlock better tanks for which the upgrade cycle continues along with your accumulation of experience. There are over 110 combined tanks to experience as you go from little toy tanks to one-shot steel eating behemoths using the exchange gold to buy them. There about 24 maps to play through as you progress with more on the way. 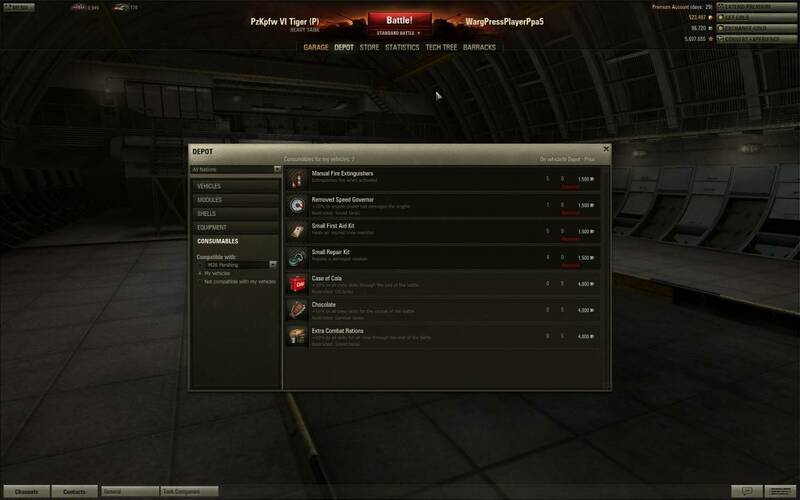 Once the four free tank slots are filled, players will have to purchase additional slots if they want to keep their first. Or, one can sell the old tanks and continue upgrading and progressing using just the four original slots. If you choose this route, you will need to put in a lot of turret time. Each tank comes with a crew that can be trained to put out fires, repair damage, apply first aid and camouflage each tank to improve effectiveness on the battlefield. The higher the experience, the better chances of quicker recovery and a win on the battle. It's important to help out the team or you may eventually find yourself struggling to get enough experience and exchange gold to repair and resupply. This isn't much of an issue for premium account holders. Whether you win or not, you still get experience and exchange gold. But a premium account entitles you to double of each. Players can also use regular gold to buy elite status tanks which can be a good or a bad thing. 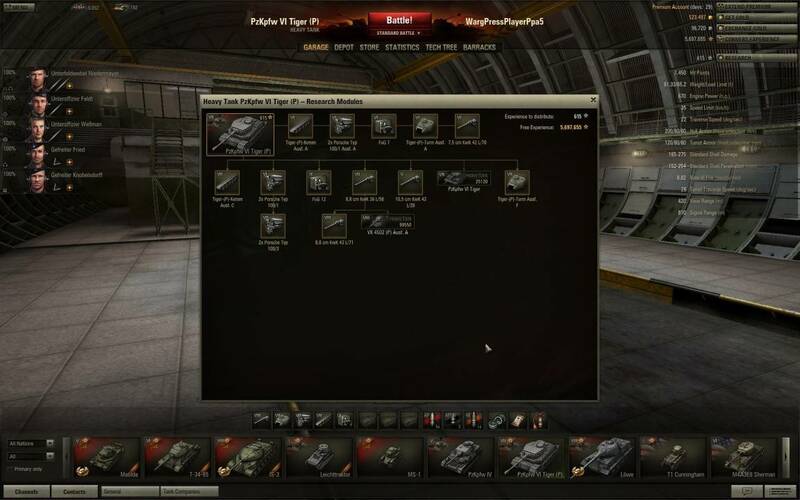 Premium account status can be secured by using Gold purchased through the WoT site. A 30 day ($29.99 US) premium account status gives you double experience and exchange credit and will make your progress noticeably quicker. Gold also gets you things like composite-rigid tank rounds and Consumables which include extinguishers to put out engine fires (common hazard of tank war fare), extra rations, chocolate and Cola to raise the tank crew's morale. 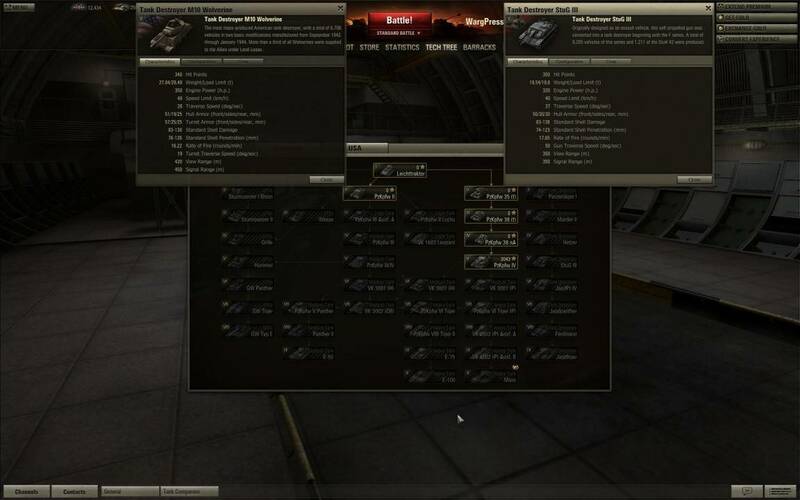 Free account players can create platoons but not tank companies. However, you can join a tank company created by a premium player. Platoons make it possible to play with one friend. The benefit to tank companies is that commanders can control who comes and goes. Naturally, companies generally consist of more level headed players who understand the importance of team work. If you're still moving up the ranks, consider using a smaller faster tank for drive by spotting so artillery can take out or severely soften up the opposing force. Discipline of Steel - Should You Buy a Tank? So, you want to purchase some gold to buy a new elite status tank. Even if you purchase your entire elite arsenal at the start, you will quickly be defeated on the battlefield unless you learn this important fact: Team work will result in victory over sheer braun just about every time! There in lay the discipline of steel. Remember, every tank maneuvers, aims and shoots differently. You will require experience to be effective in your new big bad tank. You can bet that experienced progressing players with highly modified tanks that rival or surpass yours are on the opposing side. A better experienced opponent will quickly defeat you given the game matches up tiered tanks rather than based on player stats. 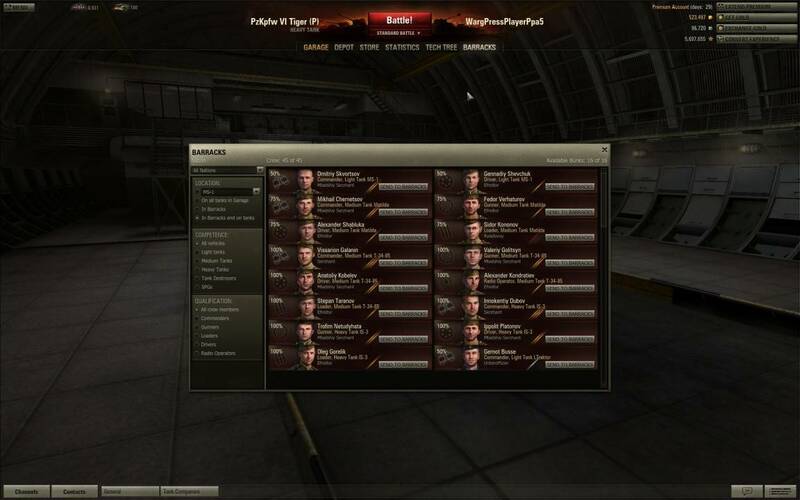 It takes practice to figure out each tank class' performance. Lone wolves and small groups who don't plan on playing with the team should know that without team work, defeat is imminent and you won't progress as quickly. There is no amount of armor or weaponry that can save a tank if your entire team scatters like ants near a fire leaving artillery and flag exposed. If you don't plan on ever supporting the team, the game isn't for you. In regular game play, friendly fire is always on. Accidental damage or team killing is automatically, heavily penalized. If you TK or damage too much, your name turns blue. That's your warning that your account is in jepordy. Again, it does make tank companies all the more appealing. It unfortunately will cost you real money at some point to have that kind of control.